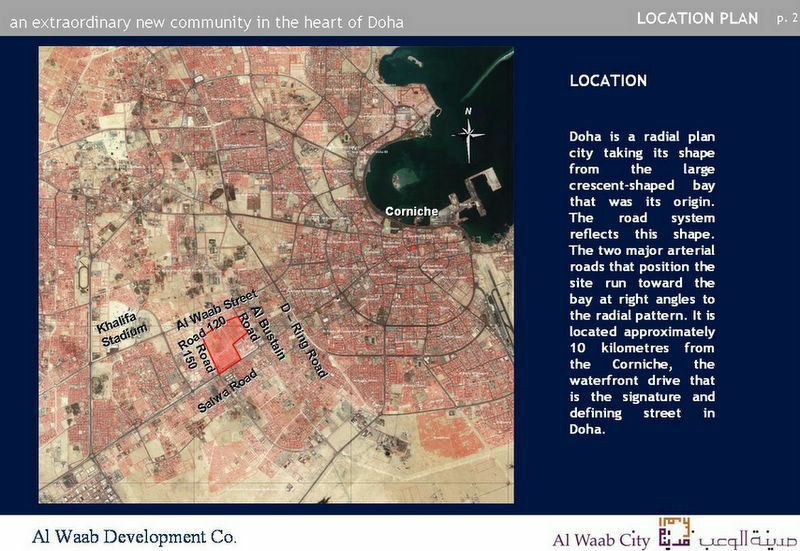 Doha: Nasser bin Khaled and Sons Group (NBKS) yesterday announced the launch of an estimated QR3.5bn Al Waab City development project covering over 1.2 million square metres area. 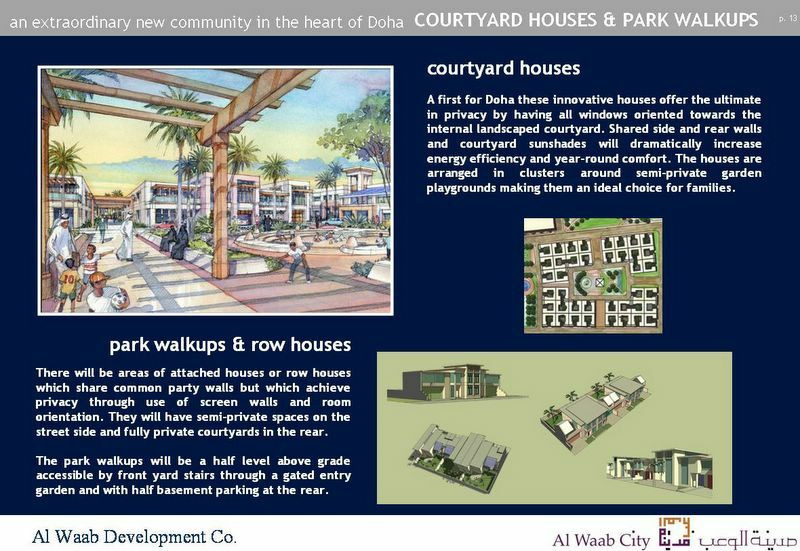 The project is being developed by Al Waab Development Company, a limited shareholding company comprising local and foreign investors and was designed by Hellmuth, Obata and Kassabaum Inc. (HOC). Amwal was selected as the project financial advisor. Speaking at a news conference yesterday at the Four Seasons Hotel, Sheikha Hanadi Bint Nasser Al Thani, Deputy CEO of NBKS, said that the groundwork of the site of upcoming city is already under way and the whole project is slated for completion within about 35 months. 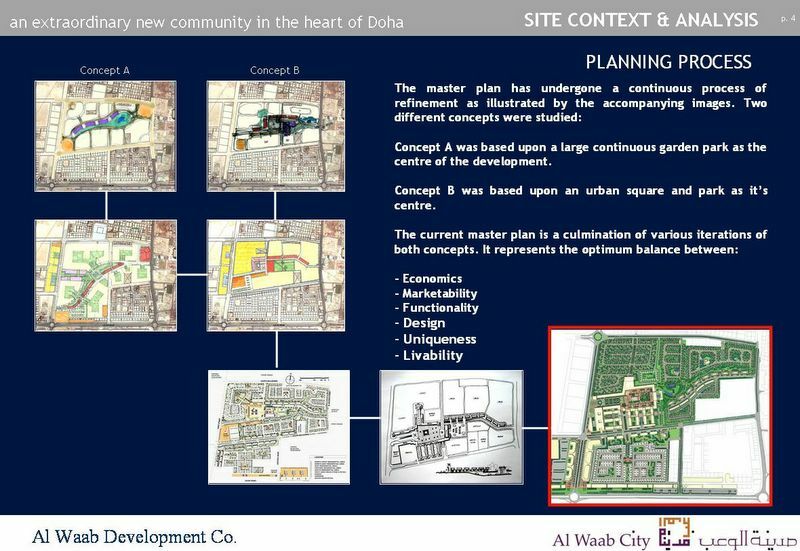 Sheikha Hanadi who is also CEO of Al Waab Development Company, said that with the coming of Al Waab City, people of Doha for the first time will have the choice to live in an environment which is virtually self-sufficient in services, amenities, recreation, culture and entertainment. 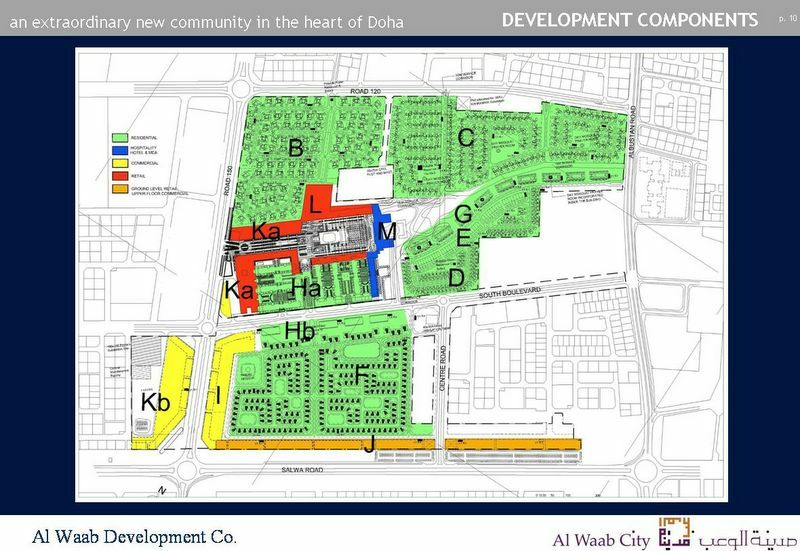 The proposed layout plan of Al Waab City. 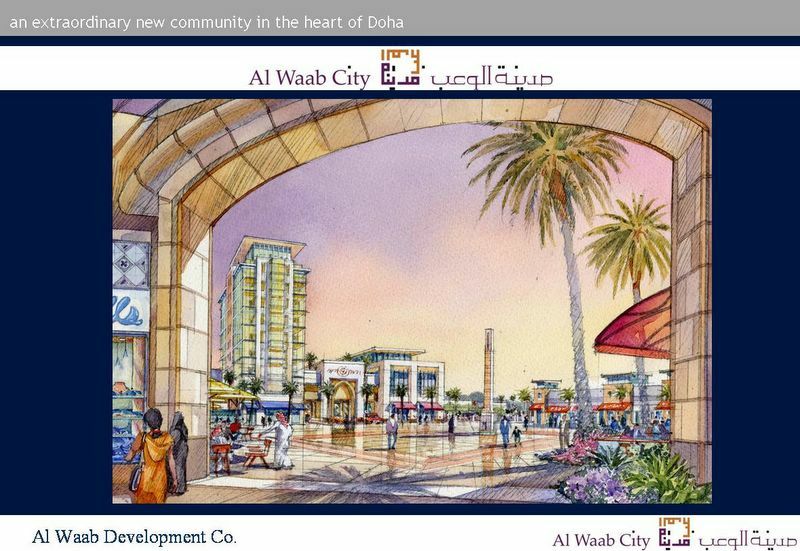 "When we set out to create Al Waab City, we did so with every intention to create more than just development. We wanted to build a community with a heart", she said. Also present at the news conference were Sheikh Nawaf Bin Nasser Al-Thani, President of NBKS Group, Khalid Rashid from Amwal, Farid Karkaby, CFO Al Waab Development Company, and Peter Ventin, Resident Manager and Stan Zippan, Regional Manager of HOC. Sheikha Hanadi explained that at the heart of the development of the city is 'Barahat Al Waab', an urban piazza hosting an array of facilities. "This will be Doha's first urban square or piazza, filled with shade structures, water features, formal landscaping and a spectacular sunken garden", she said. The piazza, animated with outdoor cafes, restaurants and a world-class hotel will be the centre of activity and a place for public events, concerts and exhibitions. 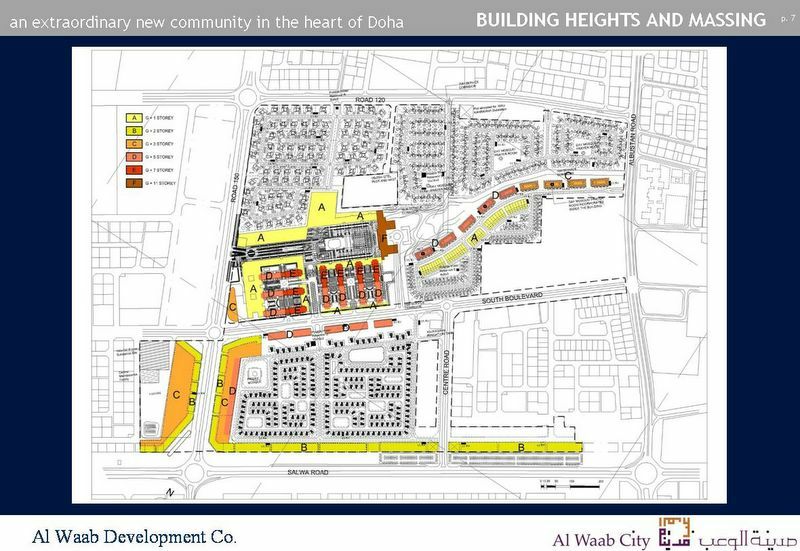 Al Waab City, being developed 10 km from the Corniche, bordering Salwa Road and Al Bustan Road will provide housing for over 10,000 people and will comprise over 2,200 residential units, commercial space and a world class 300-room hotel. 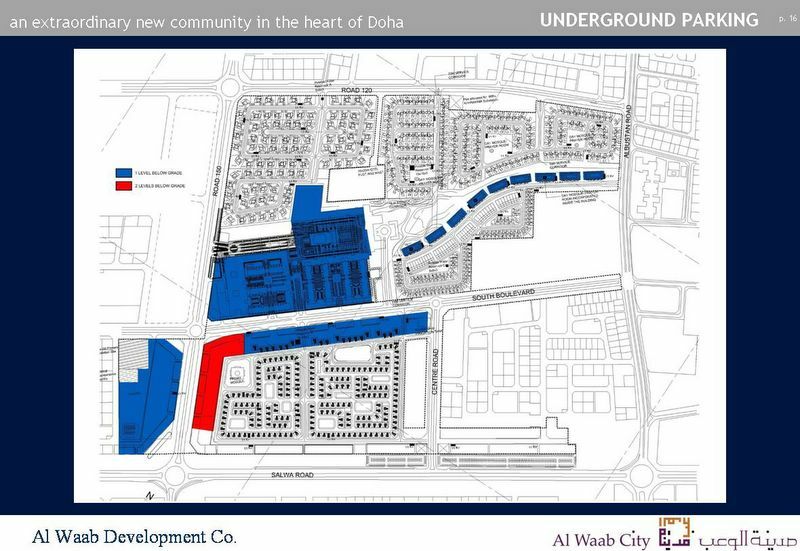 The underground parking area provided has been designed to enable the creation of public access and allows for the overall green area covering more than 23 per cent of the total area of the City. 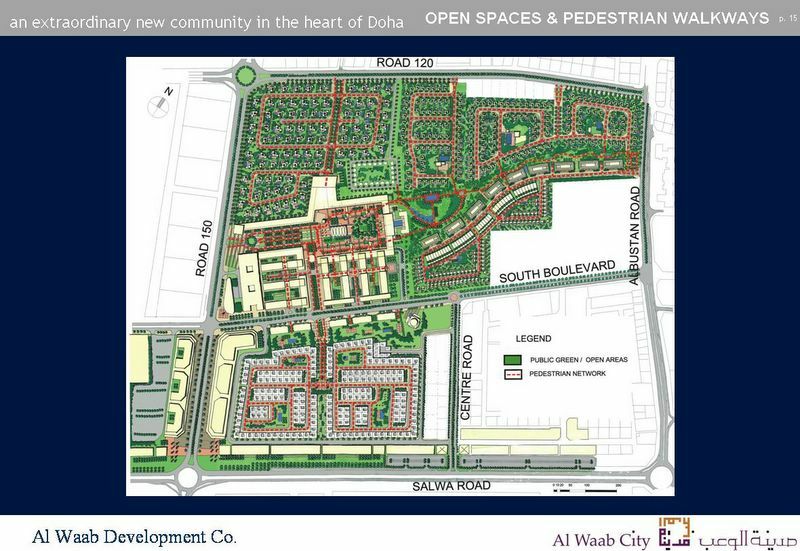 Doha:“Al Waab, which will provide housing for over 10,000 people in 639 villas, 1,293 apartments, and 425 hotel rooms, is expected to be completed between 30 to 35 months,” engineers and project managers Cansult’s vice-president and resident manager Peter Ventin explained. 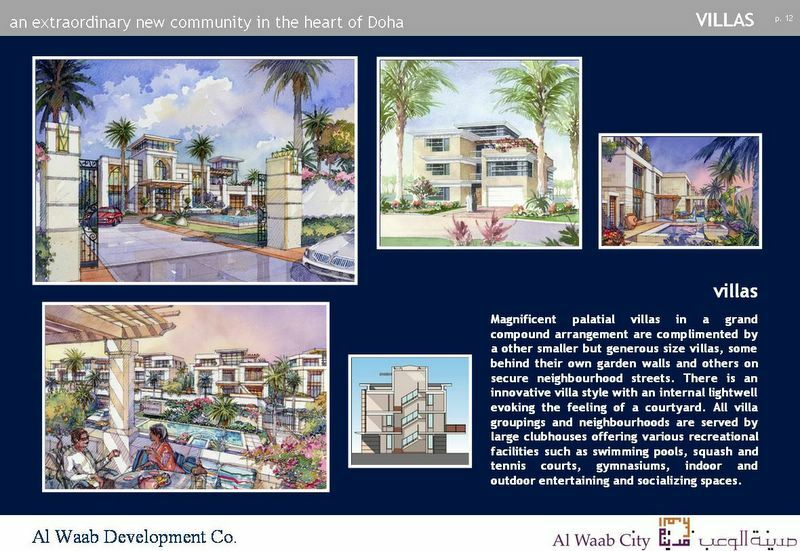 Sheikha Hanadi highlighted that Al Waab is intended to attract people who would like to stay long term and it will be a community with a heart, more than just a development project. 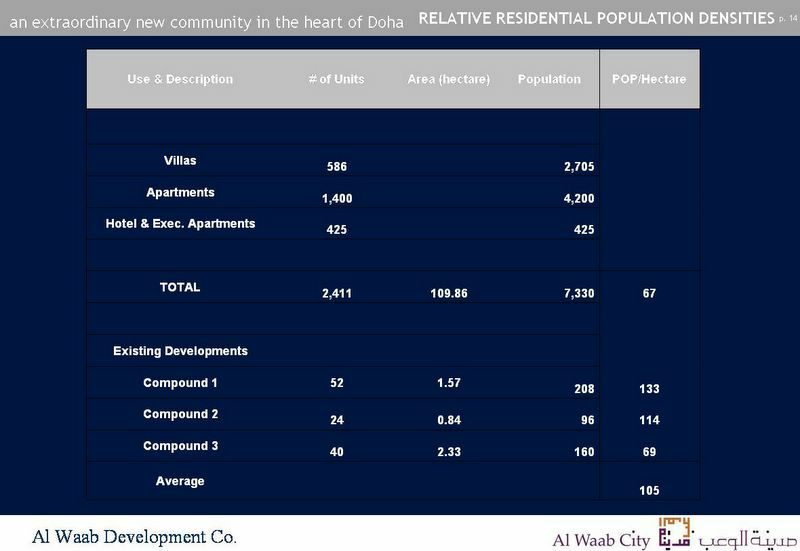 Though the City will provide housing for over 10,000 people, it boasts the lowest density ratio in any new major development in the country and statistics show it to be just half of other development projects. 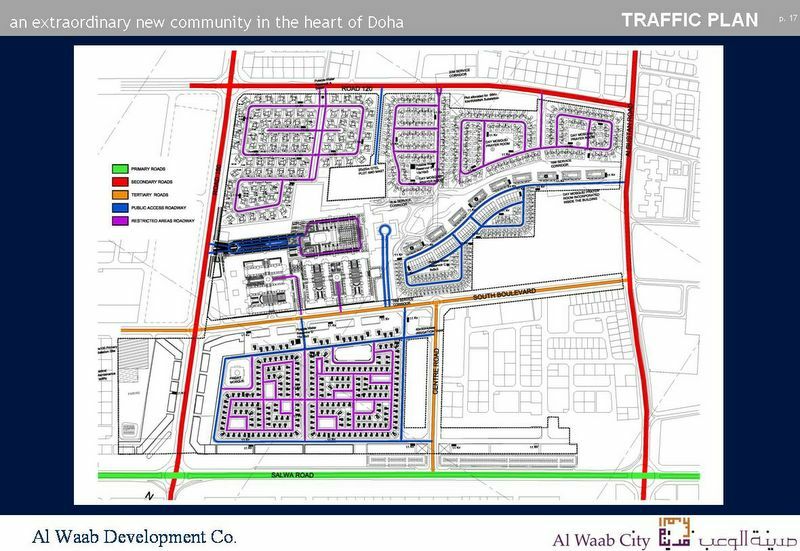 The sprawling Al Waab City, which has Amwal as financial advisors, is coming up close to Khalifa Stadium Complex, Al Sadd Sports Club, American School of Doha and Doha College, and is only 10km away from the Corniche. As the result of a design based on sustainable principles, the City will consume up to 30% less energy and water. “Insulated roofs and walls will save the use of energy by about 15%,” stressed HOK regional manager Stan Zippan. 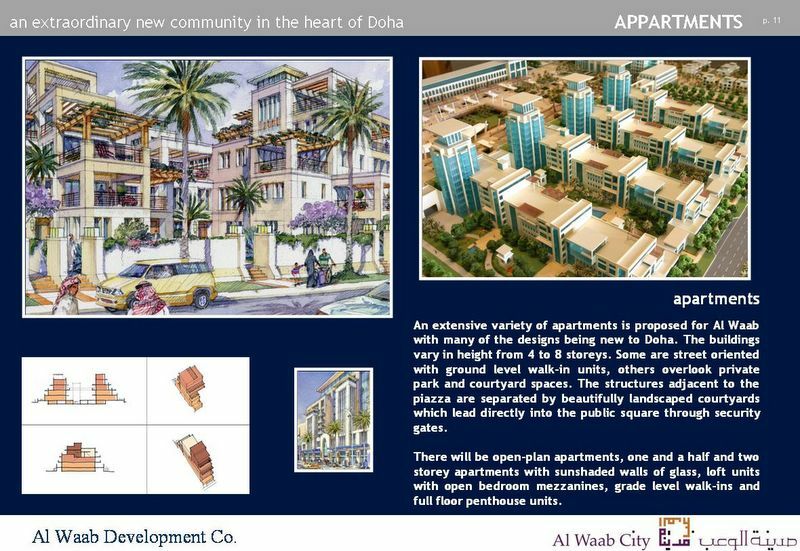 The modern architectural style of Al Waab offers a novel aesthetic dimension to Doha. Each building is sculpturally refined, finely textured and scripted with an Arabic touch. Maximum height of a building will be eight storeys. 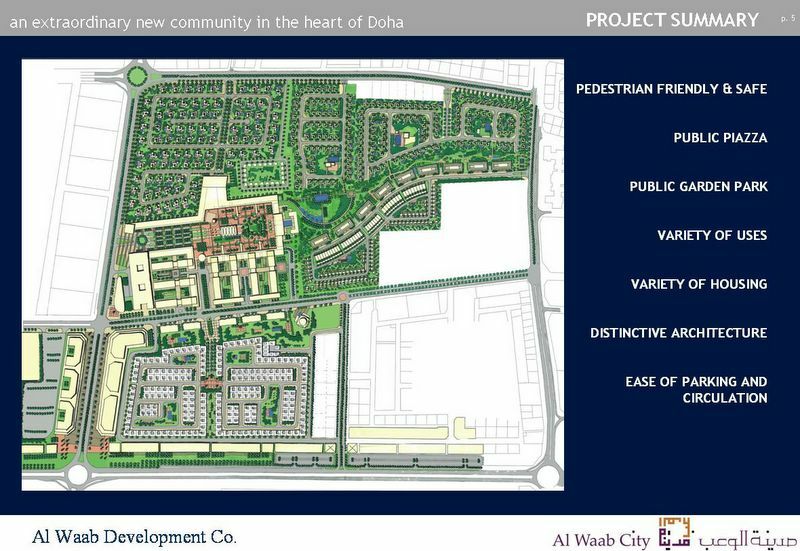 The master plan is designed to encourage pedestrian movement throughout the community.‘Barahat Al Waab’ will be accessible to all residents by foot and without crossing any vehicular streets and will serve as a venue for public events, concerts and exhibitions. An efficient city, sounds cool. So who is this project targeted at? High or middle income ppl? I think its targeted for both... i think the theme is a European-style community with a square in the middle and narrow streets with pedestrian areas and low-rise buildings. Kind of cool to have a city like that instead of downtown buildings. does anybody know's where's the exact location of the project? it says it's near some landmarks of waab area (e.g saad club, american school), but where? 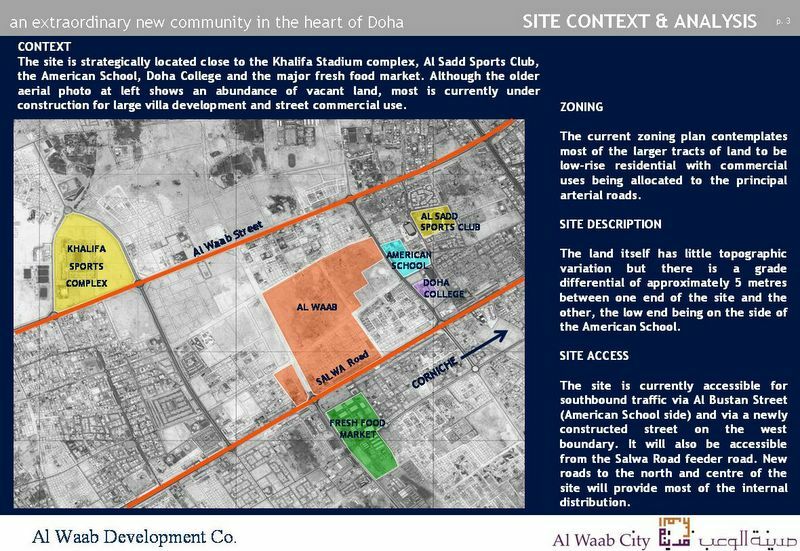 and w'd this city is going to be an open area or will be fenced & closed except to residents, just like in compounds? well, they said work has started 4 months ago on this project.. There is a fence in that area which the owner was Sheika N. bint Nasser bin Khaled. Maybe that is the project. If your in Doha, check it out... 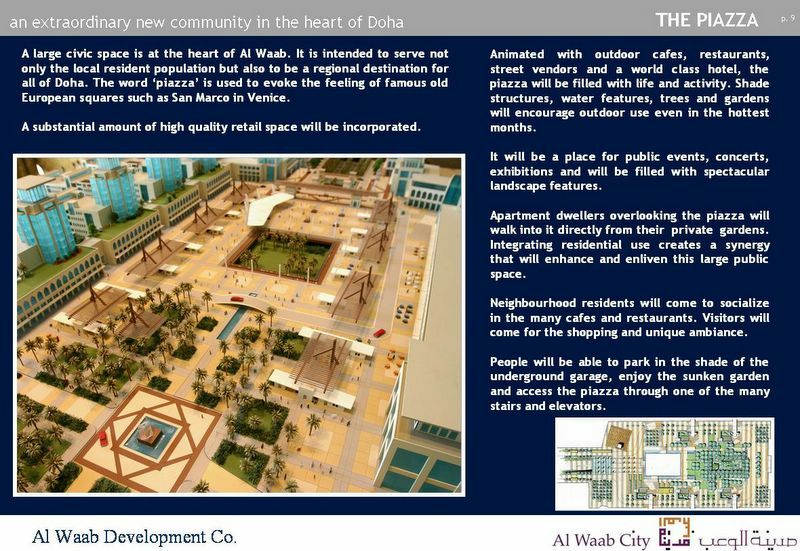 I dont think its fenced since there will be public square..
i don't live in doha, but my brother-in-law lives in al wa'ab, in beverly hills gardens, near al-man'a mosque. i think i'll pay him a visit one day, maybe he can tell me more about the project. it's been long since i've been to that area. wow i was looking for any pic for alwa3ab thnx halawala bytheway is there any road project in the same area ? 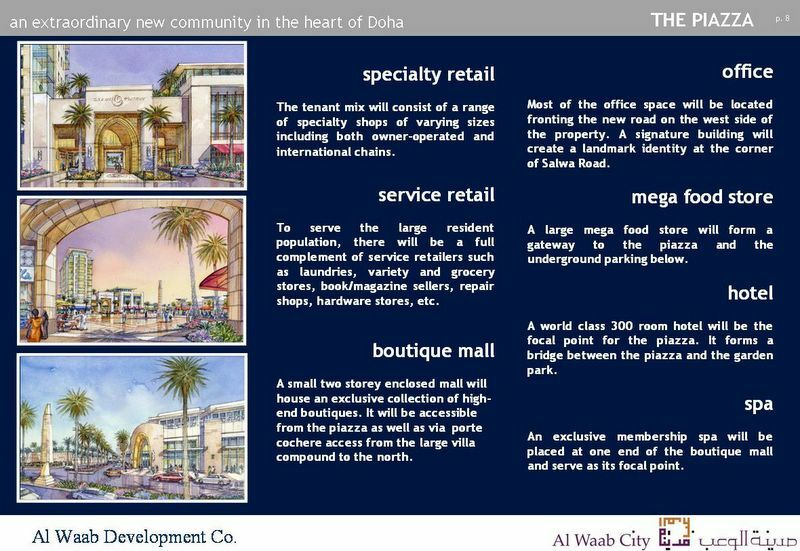 anytime man, as for the other projects in Salwa Road, I think its close to Sports City and the new Zoo. Any idea if there will be any mid or high-rises there? It says in the 7th slide the different heights of the project. I think the maximum is the hotel in the Bara7a. Walla halawalla ur a pimp.. thx a lot of these pics !! Amazing.